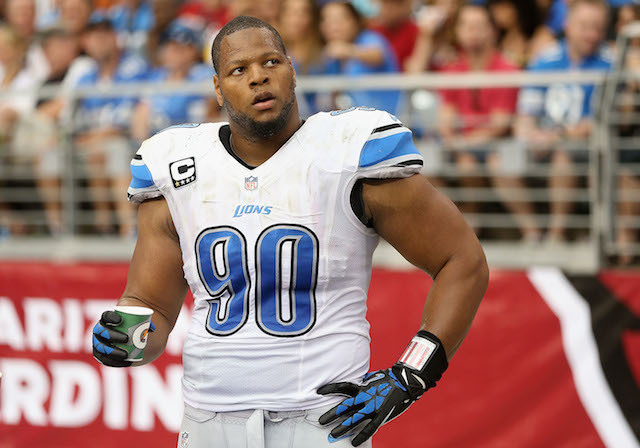 NFL: Is Ndamukong Suh Really More Valuable Than J.J. Watt? Defensive tackle Ndamukong Suh saw his time with the Detroit Lions come to the end by agreeing to a six-year, $114 million dollar contract with the Miami Dolphins. The deal includes approximately $60 million in guaranteed money, which would be the most ever for a defensive player, and means the Dolphins are going to be paying Suh the type of money that is typically reserved for franchise quarterbacks. 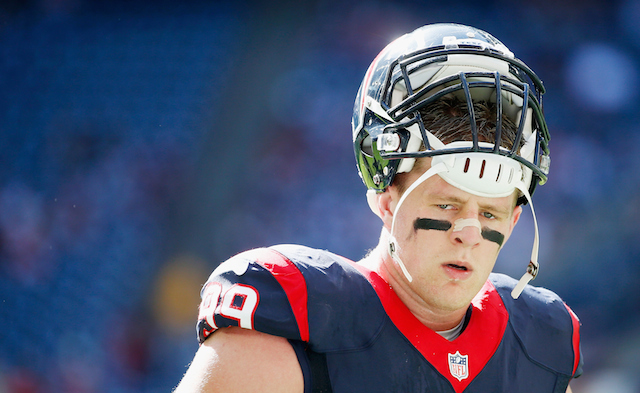 More importantly, Suh’s new deal blows Houston Texans defensive end J.J. Watt’s recet contract extension out of the water. There is no arguing that Suh is a dominating, game-changing defensive tackle. Watt, on the other hand, is indisputably the best defensive player in the game, while also being arguably the best overall player in the game. For reference, Pro Football Focus ranked Ndamukong Suh as the third best defensive tackle in the league in 2014 with an overall grade of 27.5. Watt was rated as the best 3-4 defensive end in the NFL and had an overall grade of 107.5, which was by far the highest grade for any player in the league. The next closest player to Watt in the 3-4 defensive end rankings is Sheldon Richardson with a grade of 39.9, and the next closest in overall grading was Khalil Mack with a grade of 55.3. Given what we know, it’s hard to fully comprehend exactly why the Dolphins chose to offer Suh the record-breaking contract — it will not only set a new precedent for future negotiations with the league’s top defensive players, but it will also have a far-reaching impact on how the league’s best and most valuable players, regardless of position, get paid. Assuming that the data that has been leaked on Suh’s new contract is accurate, he will join Colin Kaepernick as only the second player in league history to sign a contract with $60 million in guaranteed money. The two defensive players with the most money guaranteed are Watt, and Tampa Bay Buccaneers defensive tackle Gerald McCoy. Again, in sticking to Pro Football Focus’s player grades, McCoy and Watt were both better players than Suh in 2014. McCoy’s new deal included $51.5 million in guarantees, while Watt’s included $51.88 million guaranteed. It’s safe to say that the next wave elite defensive players around the league that are seeking new contracts, such as Justin Houston and Marcell Dareus, will have $60 million in their sights. Defense may win championships, but quarterback remains the most important position in football. Of the seven current players in the league with $50 million of guarantees in their contracts, five are quarterbacks, including Colin Kaepernick, who has $61 million guaranteed in his contract. With rising superstar Andrew Luck of the Indianapolis Colts, and Russell Wilson, who has already led the Seattle Seahawks to a Super Bowl title and two NFC Championships in his brief NFL career, in the early stages of negotiations on their second contracts, there is no doubting that the value of Suh’s new contract did not slip past the agents for each player. Another quarterback that could be looking to exceed $60 million in guaranteed money with another strong season in 2015 is Cam Newton of the Carolina Panthers. The Dolphins’ massive investment in Suh could have spelled the end of Ryan Tannehill as the long-term answer at the quarterback position in Miami, but the three-year veteran signed a massive deal of his own. While this means that the Dolphins are serious about winning now, it also bodes poorly for their salary cap situation should either player refuse to pan out. The Dolphins are getting one of the top defensive players in the NFL in Ndamukong Suh for a record-breaking amount of money, but is he really worth more money than J.J. Watt or any of the elite quarterbacks around the league? Probably not.